Discover your luck with this new release by Amatic - Lovely Lady.There is nothing luckier in life than to find a lovely lady and it is time that you try your best to feel lucky. This slot will take you on a journey where you will try and find your luck. Lovely Lady is a 5-reel, 3-row and 10 payline slot with tons of free spins and bonus symbols.So get ready to uncover the secrets which are hidden within this slot. Amatic has outdone itself yet again through this amazing slot. You will find that although the slot is fairly basic. 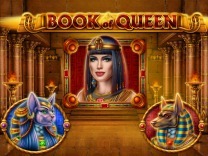 There are numerous bonus features which will ensure that players enjoy playing the slot. It also pays huge prizes, unlike most slot games.Lovely Lady does not have a specific theme but it is all tied to the lady featured at the top of the slot. She controls everything and landing her means getting huge prizes. There is a soundtrack which keeps on playing in the background which will nudge you to continue playing the slot. The characters are rendered in 2D but whenever you land a winning combination, they become animated and start spinning around.The graphics in this game are superb and you can play this game on any device, whether on your desktop while at the comfort of your home or on your mobile device while on the move. It does not require any download and can be played through the web browser.As this is a low to medium variance slot, it is recommended for all players whether novices or veterans. 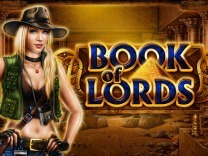 It will award prizes between spins thus very lucrative to play. Amatic has ensured that players can have an exciting gameplay and this is provided through this slot. You will interact with different characters including piggy banks, four-leaved shamrocks, horseshoes and the lovely lady. These are the high paying symbols in the slot with the highest amount paid is 9000 coins for the lady while the lowest amount which players can be paid is 15 coins for matching 3 of these symbols. The game has also incorporated generic card symbols which are the low paying symbols in this slot. Matching 5 of these symbols will award 125 coins while matching 3 of these symbols will award 2 coins.Before playing this slot, you must understand the gameplay. You will be required to set a wager before you can begin winning some of the juicy prizes hidden in this slot. The game allows you to do this in two ways, by adjusting the bet lines and the number of coins per payline. You will be allowed to set a line bet of between 1 and 50 coins. this will allow you to play the lowest amount with the maximum number of paylines. In Lovely Lady, you will find 10 paylines which will give you multiple chances to make winning combinations with each spin. You have to match at least 2 of the high paying symbols or 3 of the low paying symbols to receive a payout.Watch out for the lady as she is the high paying symbol in Lovely Lady. Matching 5 of these symbols will award you up to 450,000 coins. While you will find that the base game is wonderful, you will be amazed by the bonus features which have been incorporated into this slot. You will find that there is a scatter symbol and a wild which will help you win more prizes. The scatter symbol, represented by a crystal ball will pay you up to 250,000 coins for matching 5 of the symbols. 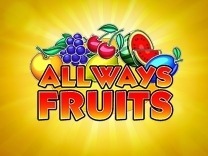 It will also give you 15 free spins for matching it 3 times on any position on the reels. The wild, on the other hand, will substitute all other symbols in the slot. It will also pay out different amounts depending on the number of times you match the symbol. Matching it 5 times will award 450,000 coins while the lowest amount which you can be paid for landing the lady is 500 coins for matching the symbol 2X. The wild will also subject all the wins won to a 2X multiplier.There is also a gamble feature which allows players to double or quadruple their wins. This feature is presented as a card guessing game where you will be required to choose between two colours, red and black or choose the card suit so as to double or quadruple your winnings. It is important to note that incorrect guesses you will forfeit your winnings.